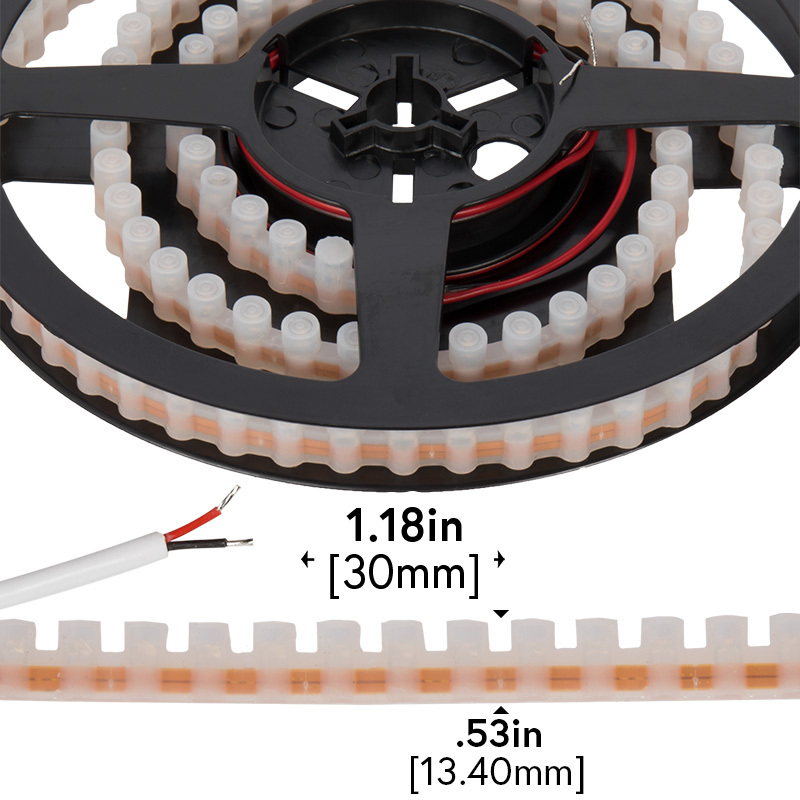 Waterproof LED Light Bar - 3'3" Super Flexible LED Bar with 30 SMDs/ft. 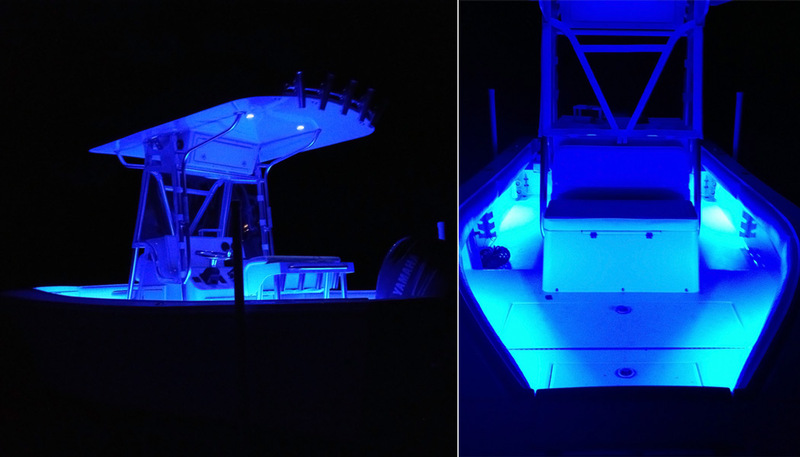 - 5-mm Through Hole LED: installed in gunwales of this boat. Thanks for the pictures, Mr. Rogers! 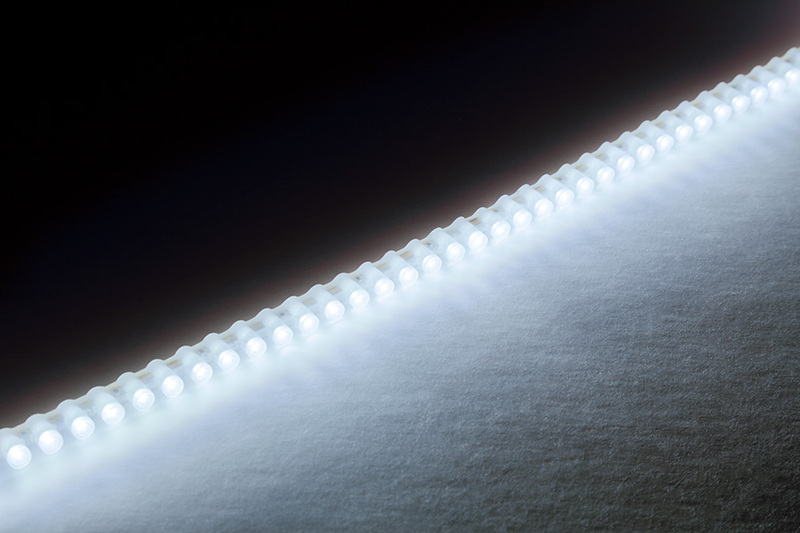 This super-flexible, waterproof LED strip light operates on 12 VDC. 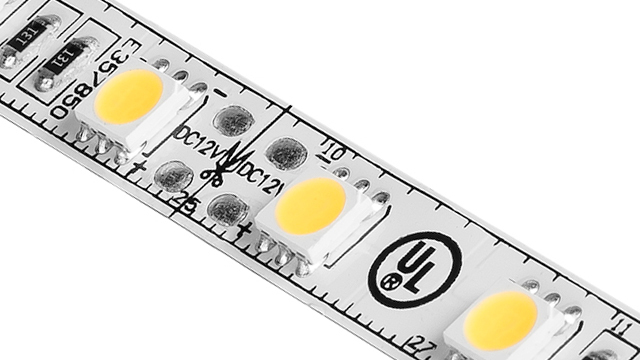 Using 5-mm through hole LEDs, it emits up to 85 lumens of cool white, warm white, UV (blacklight), blue, green, yellow, orange, or red illumination per foot. 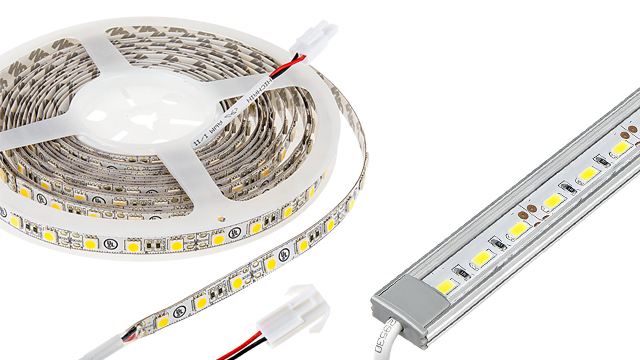 The 3.2' side-emitting LED light strip is completely encapsulated in rubber, can be easily cut into separate 3-LED segments, and will conform to most shapes up to a 0.25" radius. 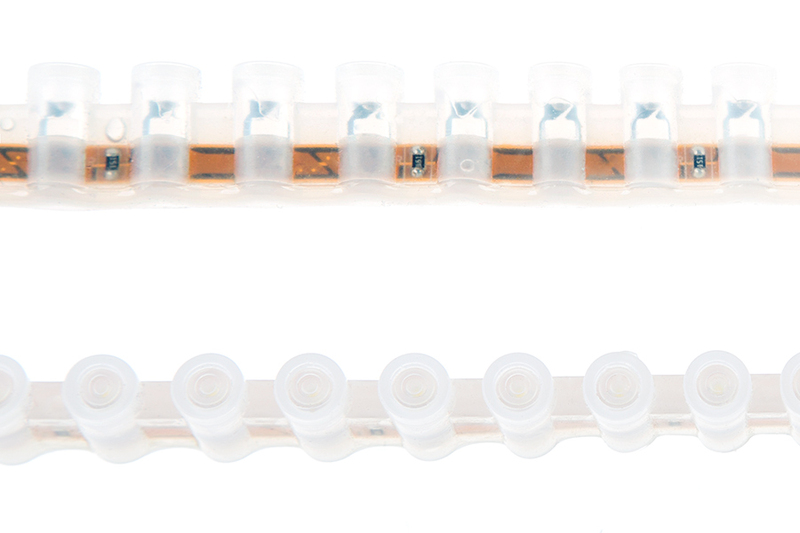 Each strip has a 20" power wire on both ends for connecting multiple units together. It will appear at full brightness for 10,000 hours. 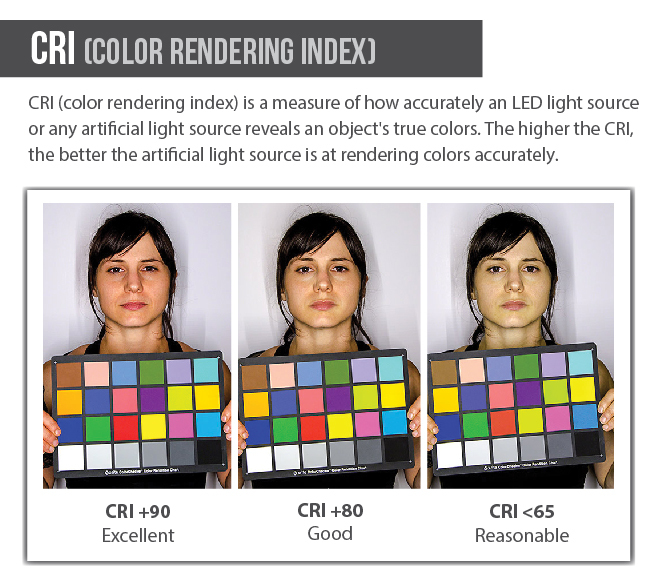 After 10,000 hours of use, a decline in lumen output might be noticeable. 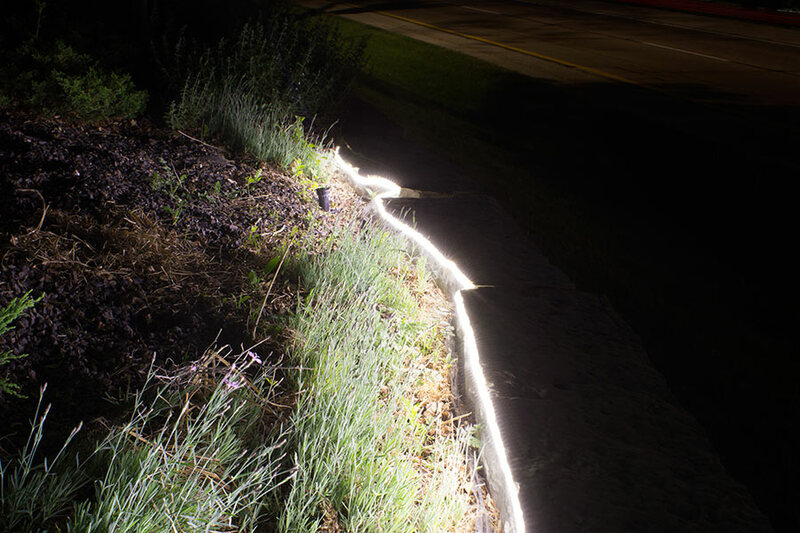 This LED strip light is great for landscape lighting, vehicles, boats, marine lighting, and many more indoor or outdoor applications. Can be used many ways. I used under bumper and inside air intake vents on a truck. Hold up well even with salt on roads on the east coast. 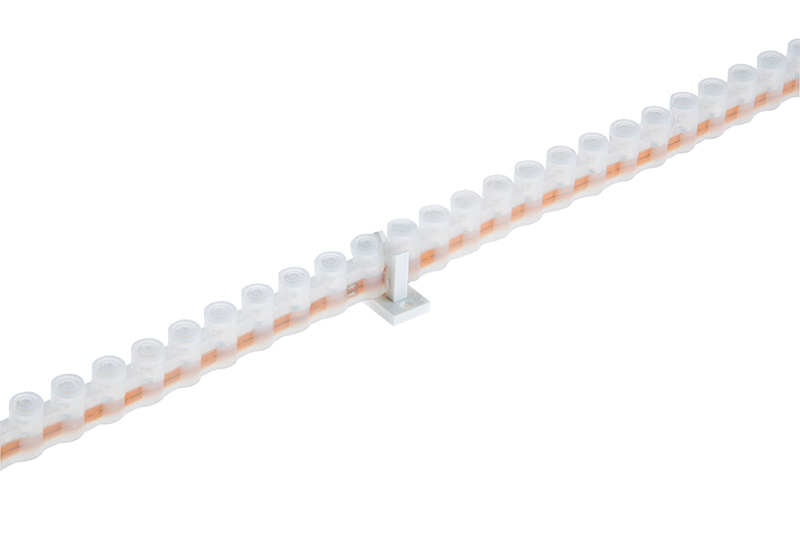 Easy to mount using mounting clips. 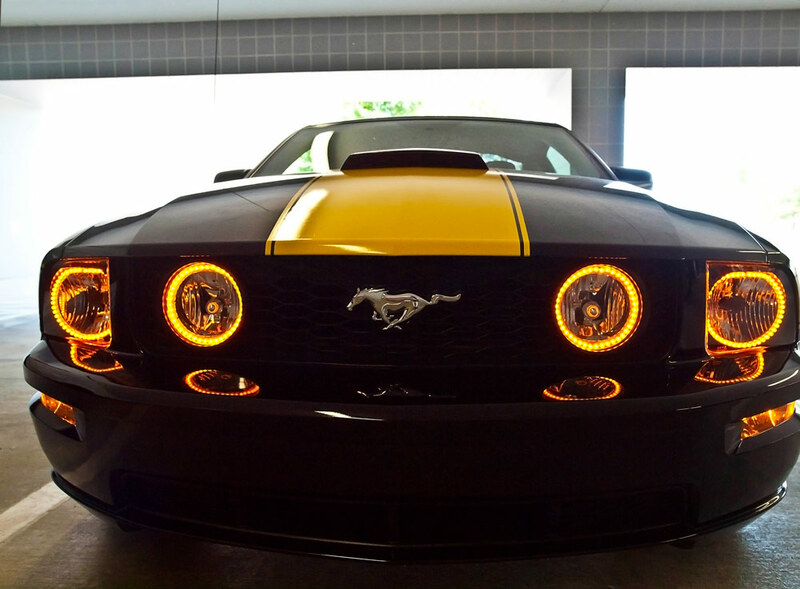 If you want to give your car a little attitude and some coolness, order these lights. 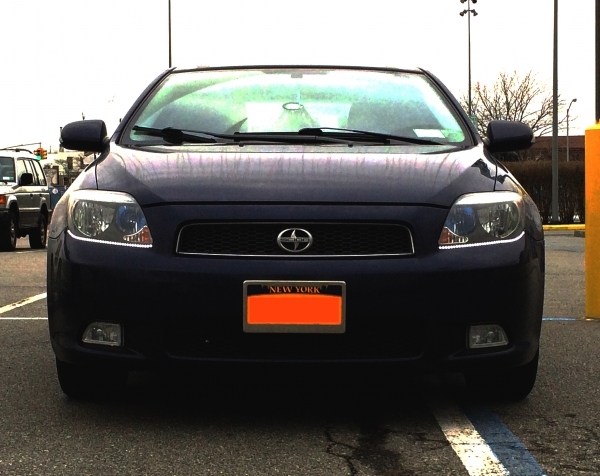 I have a '07 Scion TC daily driver (50+ miles a day) in NYC. 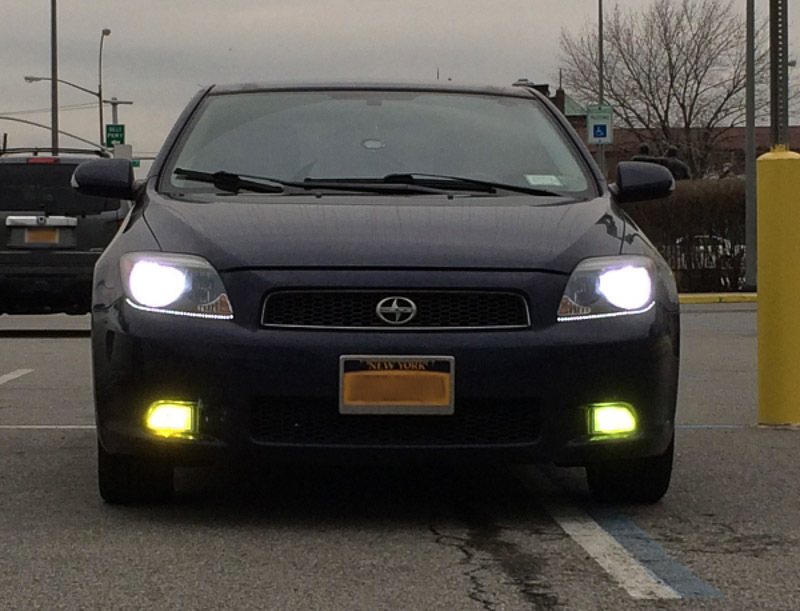 I'm in my 40's and wanted to increase the style of my car's looks, add a DRL effect for safety. However, I didn't want to look like 'that old dude" building a tuner to impress the 22-yr old interns from the office. I purchased one cool white bar and had enough length to install under both headlights. I used some clear silicone to attach them. 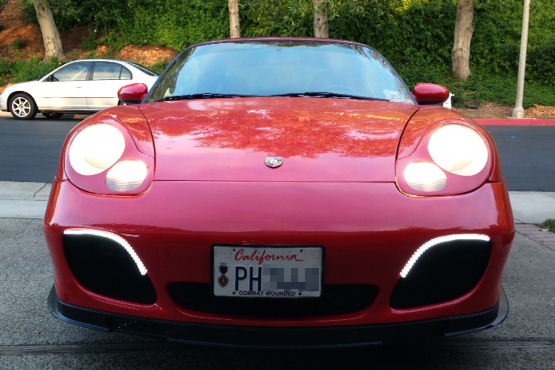 It took a little time to cure, but it did not affect the lights surface, the headlights or the car's paint in any way. I ran the power through the firewall to the 12v lighter power to switch off on its own. When they came on - WOW! They matched my HIDs perfectly (6000k). Feeling inspired,I ordered the red light bar to accent my tail lights. I've seen them on SUVs, so I thought "why not?" I think of it as an added safety option. Hopefully, I'm really not having that mid-life crisis after all. 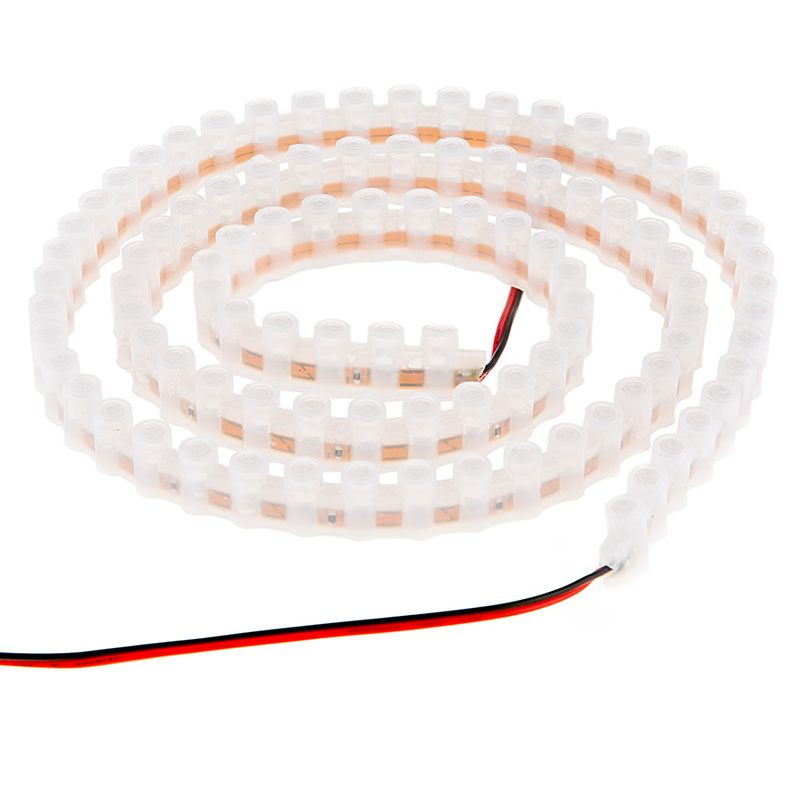 These LED strings of lights are prefect as you can cut them to shorten the length! 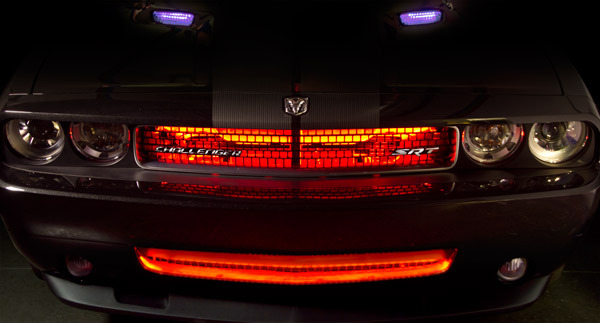 I added them to the back of my Victory Vision trunk lid, I bought two strings of LED lights in the color RED and made running lights/turn signals/ and stop light all with just two strings of LED lights...Of course I had to make a couple of Diode's and resistor's to hook all this up but the lights work perfectly! WFLB-B96 in RED color when lit! My son's GF bought a Lexus LS400 with dash instrument cluster dark. 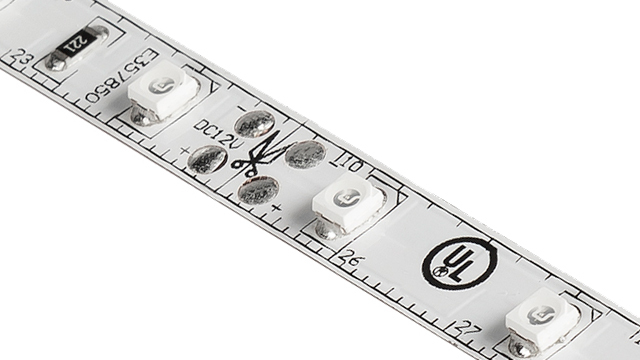 Originally lit by CCFL tubes, don't know if tubes or power supply failed. Roughly following the instructions found at http://www.lexls.com/tutorials/lighting/clustercolor.html, we chose this strip to replace the CCFLs. Our order was processed and shipped quickly and accurately as promised. I cut 2 pieces from the strip, mounted them perfectly using the original CCFL mounting clips, and the Lexus cluster now looks better than new. Perfect, even, cool light. 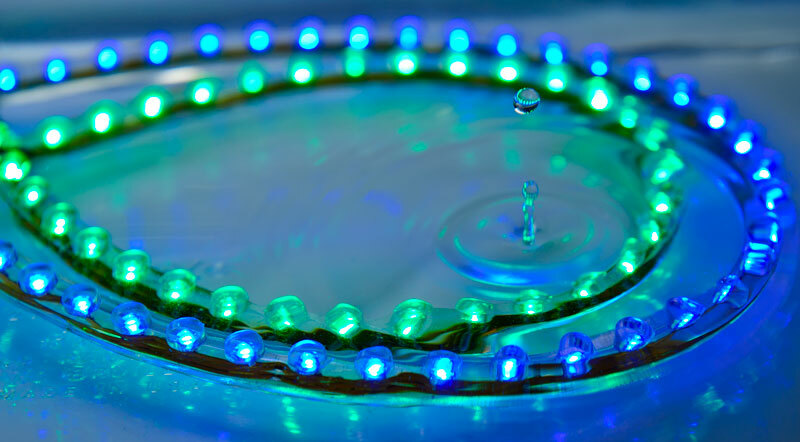 The waterproof factor didn't really matter, but the physical form of this silicone rubber encapsulated strip made it a perfect replacement for the curved CCFLs. I still have over a foot of this strip left for another project. Ordered one WFLB-R96 and cut in half as planned. Each side worked perfectly. I admittedly tried to bend them not in a loop as shown but lets say side to side (opposite of the loop). It did bend but repeated attempt to apply caused the internal board/wires/circuits to break and lights started working from that portion down. 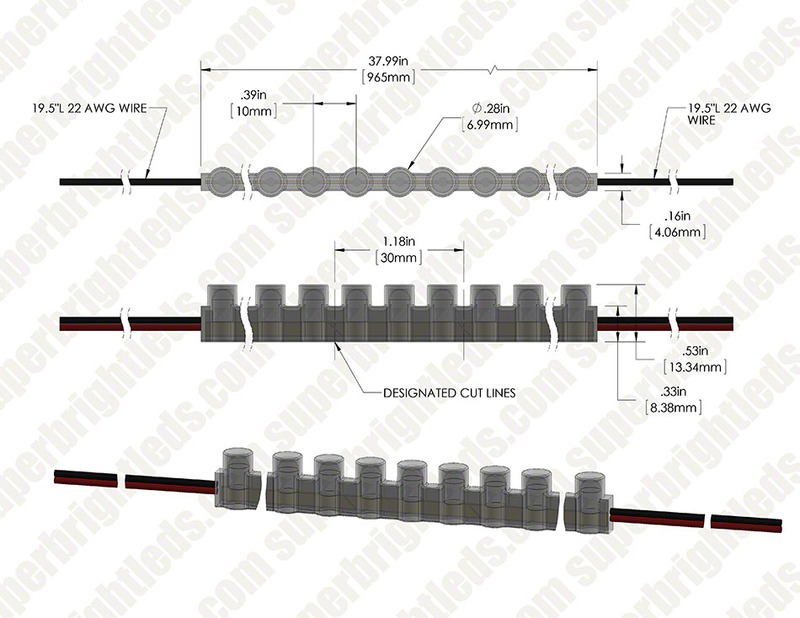 However, on the working ends the external wire connectors on one side were connected poorly and soon the leads broke off. I ordered a second one knowing better how to handle it and was more careful. Halfway through the install the leads broke again! I don't care to prove this was a defect versus handling the second time, but it seems like very weak wiring and solder on the leads as it happene twice. So, if you use them in a loop as shown great but you still have to be careful about the leads and maybe even reinforce them with tape. Lastly, no form of automotive acrylic tape, or any tapes I had or glues would stick to these things. You need the mfgr mounts.